Johan Christher Schütz - vocals, piano, guitar, glockenspiel, etc. Backing vocals - Chihiro Fujita, Heléne Blad, Micaela Petersson, Anna Hagsell, Anna Thörnkvist, Connie Cheung, Johan Pettersson, Sebastian Grönvall, Takero Ogata, Anders Östberg, Henry Outhwaite, Marcus Johansson. Recorded in November 2012, featuring backing vocals from friends from Japan, China, Sweden, England and USA. 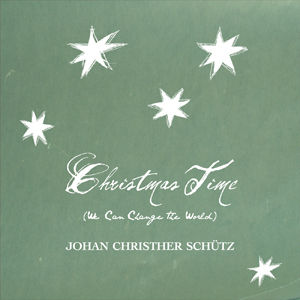 © 2012 One Perfect Line Music & J.C. Schütz.